Author(s): Cheshmezhangi, A. & Galvez, L. H.
Abstract: In the last few decades of China’s rapid development, housing sector has experienced substantial change and transition. Rural housing, in particular, has become a very crucial part of housing development in China. The conditions of housing market, significant demographic changes and transitions between the rural and urban population have all made huge impact on rural development strategies that include housing provisions and housing policies for the rural areas. On the other hand, the combined effect of Hukou system (a household registration system in China) and housing reforms has given a certain direction to policy development of rural housing in China. This research paper aims to evaluate the current situation(s) of China’s rural housing through brief discussions on selected case studies. Through this analysis, the authors aim to explore development patterns and strategies that are shaping-up and making the so-called transitions of rural areas in China. 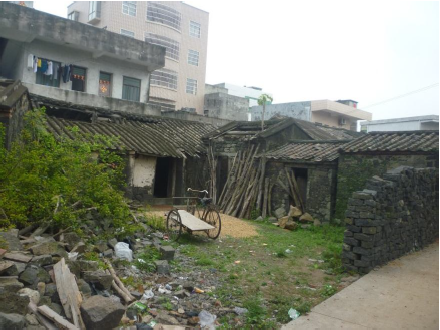 Through a selection of studied case studies in the context of rural China, this study will identify main elements of transitions in China’s rural housing. The study will then explore each element in detail to discuss patterns of development and change. Finally, this research study will offer explanation about potentials and gaps in rural housing development of China. ‘Energy and International Development’ scheme. The project is titled ‘Energy and Low-Income Housing in Tropical Housing’ and has a huge scope of housing and community analysis in both rural and urban areas of China, Thailand, Tanzania and Uganda. The focus of this research paper is on China’s rural housing.